John Berger is harnessing conventional energy investors to help grow solar. This week on Watt It Takes: how a Texas entrepreneur with fossil fuel roots came to see solar and storage as the future of energy. We feature a conversation with John Berger, the CEO of the residential solar-and-storage firm Sunnova, about his mission to convince traditional energy investors to put their money into solar. Sunnova has pulled in tens of millions of dollars from investors who once thought solar was laughable. "I'm proud of getting a bunch of oil and gas money. I worked hard to get that money. And I want a lot more of it. The reason is that there's been a lot of success — whether you love it or not — there's been a lot of financial success in oil and gas and there's a lot of really talented companies that have built big companies. And we need them to start putting their money in this space," says Berger. Today, Sunnova is the fourth-biggest third-party solar provider in America, according to Wood Mackenzie's U.S. Distributed Solar Service. Berger’s path is different than a lot of others in residential solar, who’ve mostly come from tech, finance or the environmental world. 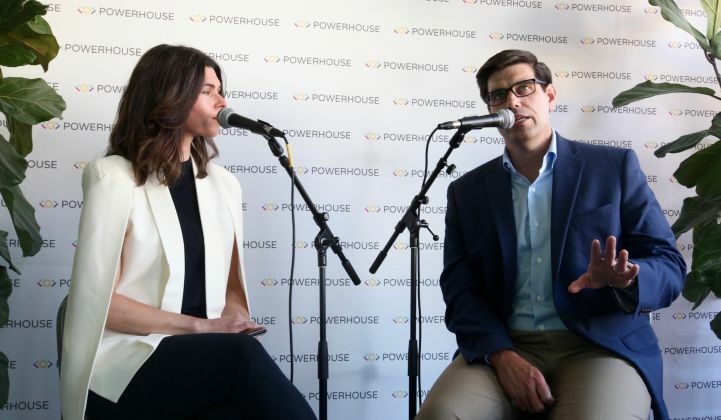 In this edition of Watt It Takes, Powerhouse CEO Emily Kirsch talks with Berger about his time at Enron, his belief in battery storage, his focus on resiliency in Puerto Rico, and his leadership strategy. This podcast is brought to you by Mission Solar Energy, a solar module manufacturer based in San Antonio, Texas. Mission Solar's high-performance solar panels have the highest testing ratings among any North American manufacturer in the market. Learn more about Mission's high-efficiency modules.